You may never have heard of the 2014 Infiniti QX60, but it's a new label on the model launched last year as the Infiniti JX--so check that vehicle's reliability ratings to get a sense of how the QX60 will hold up. The 2014 Infiniti QX60 is luxurious and full featured, while offering families a roomy, reconfigurable layout that makes good sense. When you hear someone mention the 2014 Infiniti QX60, you may not be sure where it fits into the Japanese luxury maker's lineup--or even whether it's a sedan or a utility vehicle. Truthfully, the QX60 is simply the new nameplate applied to what we knew last year as the Infiniti JX. Both cars, regardless of nomenclature, are the same new three-row crossover utility vehicle that basically adds more luxury, additional features, and a fresh set of sheetmetal to the underpinings of the more mass-market Nissan Pathfinder. The QX60 (nee JX) has already blazed a new trail for Infiniti, as it's the first three-row vehicle sold by the brand that's not based on truck underpinnings. It's squarely in the center of the luxury crossover market, compared to the QX70 (nee FX), which is sportier and less capacious, and the larger, thirstier, truck-based QX80 (which, believe it or not, was previously the QX56). And this year's Infiniti QX60 goes head-to-head not only with the Lexus RX--which doesn't offer a third row--but also the Acura MDX and perhaps the Lincoln MKT. Regardless of Infiniti's German-inspired scheme to name its sedans and coupes 'Q' and its utility vehicles 'QX', the looks of the QX60 (nee JX) haven't changed. The seven-seat vehicle is still relatively sleek, nicely detailed, and modern for what could have been a tall and blocky-looking box of a utility vehicle. 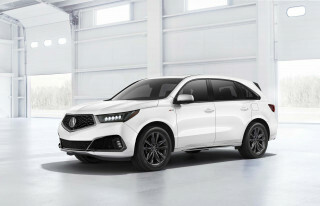 But the long hood of the QX60 eliminates any hints of the dreaded minivan, and its roofline falls slightly and to give a softer look than more slab-sided models, such as the Acura MDX. Inside, the QX60 is clearly spacious and stylish, cabin trims that are rich but restrained, and practical luxury trumping all-out opulence. What is new for 2014 is a second powertrain option. The QX60 Hybrid features Nissan's Direct Response Hybrid technology, which combines a 2.5-liter supercharged four-cylinder engine with a single 15-kilowatt electric motor, using clutches on either end of the electric motor to drive through Nissan's familiar continuously variable automatic transmission. Together, the two torque sources produce a total of 250 horsepower, and return an EPA Combined rating of 26 mpg. As for the rest of the lineup, it will continue with a 265-hp, 3.5-liter V-6 engine, also paired with a continuously variable transmission. 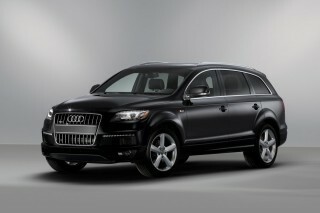 Both models will be offered with either front-wheel drive or all-wheel drive. With its compact lithium-ion battery pack tucked under the third-row seat, the hybrid gear in the QX60 doesn't interfere with either cargo space or the fold-flat seats--and the former JX received good marks for interior volume and flexibility. The QX60's third-row seat isn't an afterthought, and we like how the adaptable rear seat folds, tilts, and collapses in several combinations, giving good access to the third row even if there's a child safety seat latched into it—as no other three-row vehicle can, Infiniti says (except for the related Nissan Pathfinder). The first and second rows are comfortable for real-world adults, though the third row (no matter how easy it is to reach) is better used for children than more adults. A full suite of safety systems will be offered on the QX60 and QX60 Hybrid, including a Backup Collision Intervention system that watches for approaching objects from the sides and rear when the vehicle is in reverse. It can detect objects in the vehicle's path up to about 5 mph, and will identify cross-traffic approaching from the rear at up to 15 mph. Lane Departure Warning is useful though a bit too sensitive, we think, while the Around View Monitor is an essential safety aid for busy parents. The 2014 Infiniti QX60 measures up well with the previous JX in terms of pricing and features. It comes with essentially the same standard equipment--a glass moonroof and rearview monitor included. 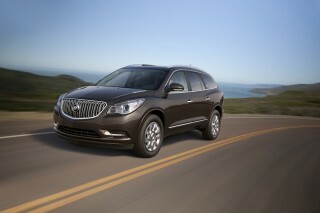 Several large packages bring those active-safety features or infotainment upgrades as options. The QX60 Hybrid, by the way, sells for about $3,000 more than the standard QX60. The 2014 Infiniti QX60 (nee JX) manages to pack space for seven plus cargo into a stylish shape with all of Infiniti's design cues. 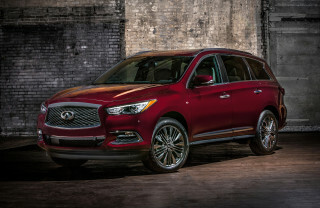 The 2014 Infiniti QX60 could be the poster child for how to adapt a consistent set of design cues--found on Infiniti's latest sedans--to a much larger and bulkier crossover vehicle. The front leads with the large, chrome double-arc grille shape, the fenders swell gently into "haunches" over the openings for the large 18- or 20-inch wheels, and the rear pillar has a crescent shape at the back end over a roofline that drops slightly. All of these items are meant to say "Infiniti," and in our opinion, the QX60 is a successful design considering its bulk. The stylists have managed to minimize the size by lengthening the rear doors, which also improves third-row access. But that keeps the overhangs shorter, and the long hood prevents any hint of minivan from creeping into the lines. Against competitors like the slab-sided and shorter Acura MDX, the Infiniti QX60 comes off surprisingly well--and it's not until you get close to it, or see it next to another car, that you realize quite how large the crossover really is. Inside, even base QX60 models convey a luxurious air. The dashboard, door panels, and seats are all rich but restrained--though the vehicle is designed to accommodate family needs--this will be a working vehicle--rather than over-the-top opulence. Particularly appealing are the array of two-tone interior treatments that keep the large interior light and subtly underscore the luxury positioning. All-black is available, of course, but we suspect chocolate brown and beige should be popular. Accent trim is wood or matte silver metal. Many parents will likely go for the two-tone as a more pleasant place to spend considerable time ferrying children. Our sole quibble with the interior styling is the analog clock, which verges on becoming as cliched as glossy piano-black trim. The 2014 Infiniti QX60 (nee JX) is a seven-seat crossover, not a driver's car, but it's perfectly suitable for family duty. The 2014 Infiniti QX60 has a job to do: It's meant to haul up to seven people and all their goods around affluent suburbs and, with all-wheel drive, through snowstorms and the occasional muddy lacrosse field. It's a far more pleasant vehicle to drive than the huge, hulking, truck-based QX80, but between a long, tall body and the standard continuously-variable transmission (CVT), it's just not a driver's car. New 2014, the QX60 offers a choice of two powertrains. The standard engine is a 265-horsepower, 3.5-liter V-6 that produces 248 pound-feet of torque. It's paired with the latest iteration of Nissan's CVT. On the road, this engine provides adequate but not very enthusiastic performance. This powertrain does offer drivers a choice of four different drive modes: Eco, Standard, Sport, and Snow. Eco is best avoided unless you're on long, flat stretches of road, since we found the pedal feel--it pushes back if you try to accelerate too hard--annoying. The Sport mode, unusually, remaps the CVT so its behavior mimics a conventional six-speed automatic--at the cost of slightly higher fuel consumption--with defined shift points and a linear relationship between engine speed and road speed. The second powertrain, new this year, is a hybrid. It uses a supercharged 2.5-liter four-cylinder engine and a single 15-kilowatt electric motor, with clutches on either side of the motor, driving through an adapted version of the same CVT. Added together, the engine and motor together produce about 250 horsepower. But unlike hybrids from Toyota or Ford, the QX60 Hybrid can't move away from stops using only electric power. There's no smooth, engine-less acceleration away from stop lights. Instead, it's a mild hybrid system that adds supplemental torque when more power is needed, restarts the engine after stops, and recharges a small lithium-ion battery pack under regenerative braking. Both powertrains can be ordered with the standard front-wheel drive, or optional all-wheel drive. In AWD QX60 models, the system prioritizes drive to the front wheels until it senses wheel slip or other traction problems--when it can shift up to half the torque to the rear wheels. In other words, the QX60 is not equipped for off-road rock climbing, but it will be a very practical vehicle for muddy horse paddocks and snowy weather. The hybrid system boosts gas mileage from either 20 or 21 mpg combined for the V-6 version to 26 mpg combined with either drive configuration. The Infiniti QX60 is mostly quiet to ride in, partly because the CVT keeps engine speeds as low as possible for fuel efficiency. When it's asked for full power, the engine noise gets somewhat louder, but Infiniti has added the expected swathes of luxury noise insulation, so it never gets particularly unpleasant. Towing capacity is up to 3,500 pounds for the V-6 version, assuming the accessory trailer hitch has been fitted (for a fairly reasonable $370)--though Infiniti says only a fifth of owners will ever tow anything. Roadholding is adequate, though the electric power steering doesn't transmit a lot of road feel, and the vehicles length becomes most apparent when trying to place the QX60 in narrower streets or, if absolutely necessary, parallel parking it. 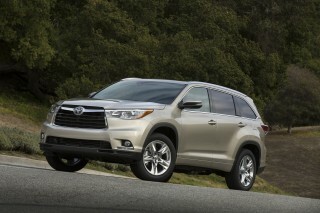 But that really doesn't matter; it's a big, capacious crossover and that's why people buy it. In the end, the QX60 performs fine for its mission as family transport. The 2014 Infiniti QX60 (nee JX) touts its third-row access, and justifiably so, but it's also got all the features and options you'd expect in a near-luxury brand. From the start, the 2014 Infiniti QX60 was designed to offer easier access to its third row than any other seven-seat vehicle on the market (except the Nissan Pathfinder, which uses essentially the same structure). 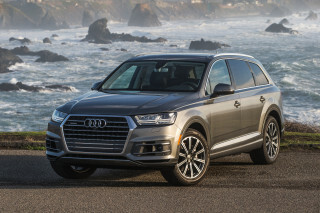 As a family vehicle, it maximizes interior volume, convenience, sand safety, with comfortable, well-bolstered front seats and space for real-world adults in the second row. That second seat slides 5.5 inches forward or back on tracks, letting all three rows of occupants negotiate the best blend of legroom and comfort. With the second row fully to the rear, there's class-leading legroom for rear-seat passengers. Sliding it forward makes the third row more hospitable for gangly teens. We did note, by the way, that if you choose the optional seat-cooling feature for the two front seats, the space underneath is entirely filled with the hardware--meaning there's no room left for the second-row passengers' feet. Climbing into the third row is eased by the 14 inches of space between the door opening and the second-row seat back when it's folded forward. The second-row seat bottom cushion also articulates to tilt up when folded. Compared to the competition, it really is easier to clamber in and out--though like all third rows, it's best suited to kids and agile teenagers. Like many third rows, the cushion is low to the floor and older passengers may find the knees-up riding position uncomfortable for the long haul. Infiniti salespeople will likely get used to demonstrating the QX60's family trick: the second-row seat can be folded forward to give access to the third row even if a child-safety seat remains strapped into it via Isofix anchors. No other luxury three-row crossover does this, Infiniti says--and grateful parents will likely value that ability highly. The back of the second seat is split 60/40, and even the third row is split 50/50. The QX60 provides more total cargo room with both rows folded down, at 150 cubic feet, than either the Acura MDX or the Audi Q7. There's 15.8 cubic feet of space behind the third row, as much as a decent-sized compact sedan's trunk. The 2014 Infiniti QX60 (nee JX) has surround-view cameras and available auto-braking, which put it ahead of many competitors. The National Highway Traffic Safety Administration (NHTSA) gives the 2014 Infiniti QX60 an overall rating of five stars, its highest level. It received five stars for side-crash safety, and four stars each in frontal-crash and rollover tests. We'd note that the overall five-star NHTSA rating is an improvement over the four stars received by last year's Infiniti JX, which is almost entirely the same vehicle under a different label. The Insurance Institute for Highway Safety (IIHS) hasn't fully rated this year's QX60, but gives it the top rating of "Good" in the two tests it has listed on its website for the vehicle: moderate-overlap front crash and side crash. 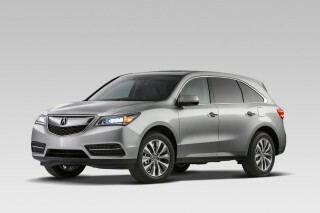 The IIHS gave the same two ratings to last year's JX model as well. For a vehicle this large, the rear-quarter vision in an Infiniti QX60 is pretty good--provided you're not using the third row. Its headrests are thankfully designed to fold down, which opens up vision through the rear window, but when they're raised, there's not a lot of vision left to the rear. Unfortunately, folding down those headrests means pulling a pair of tabs after you've walked around to open the rear liftgate--but at least they do fold down in the first place. The QX60/JX pioneered a world-first safety feature last year, known as Backup Collision Intervention, that it expects to be very popular with parents. When the car is put into reverse, sonar sensors in the rear bumper scan the surrounds for plastic objects, and radar in the rear quarter panels looks for metal objects and over longer distances. The system is looking for motion that might be a child or a pet moving into the vehicle's path. If it finds anything that qualifies, it automatically brakes the QX60 after alerting the driver with both audible and visual warning signals. It works at speeds up to 5 mph for objects directly behind the car, and up to 15 mph for cross-traffic coming from the sides. It can be switched off too. Better-known safety systems in the QX60 include Distance Control--otherwise known as adaptive cruise control--Blind-Spot Warning and Intervention, Lane Departure Warning and Prevention, Forward Collision Warning, and Intelligent Brake Assist. Over half a day's test drive, they all worked as expected, though we found the Lane Departure Warning system more sensitive than those in other vehicles. After a while, it started to become annoying, warning us every time we changed lanes--deliberately or not--unless we used the car's turn signals every time. The telematics service will contact the nearest emergency responder if an airbag triggers or it senses a crash. It can also locates stolen vehicles, and unlock the vehicle remotely at the owner's request. Parents with teens who are just getting their drivers' licenses can set up Drive Zone and Speed Zone alerts that will notify them via text or e-mail when the vehicle exceeds a predefined speed or crosses the boundaries of a designated geographic area. The system allows both "stay within" or "keep out" zones. The 2014 Infiniti QX60 (nee JX) doesn't have the best infotainment--though there's a Personal Concierge on call--but the audio is excellent. 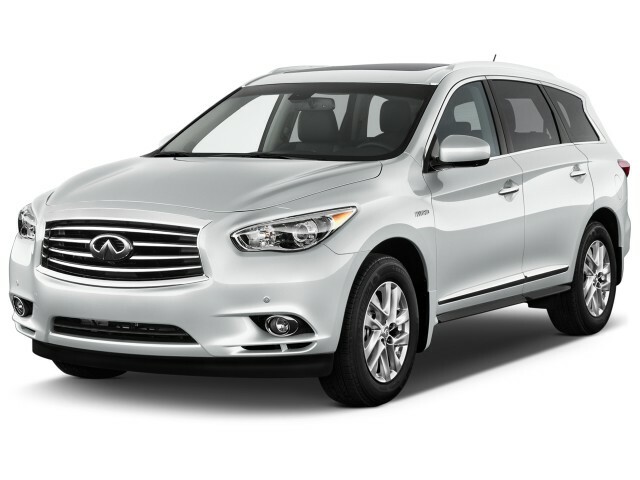 Carefully specified to face its competitors, the 2014 Infiniti QX60 falls neatly into a price spectrum that starts just above $40,000 for base models, and rises above $50,000 if you have a heavy hand on the list of optional equipment. All-wheel-drive models--laudably available in all trim levels--cost $1,100 more than the default front-wheel-drive system. Standard QX60 features include the third-row seating, leather upholstery, pushbutton ignition, a rear-view monitor for reversing, and even a glass moonroof with an electrically retractable sunshade. The standard audio is a six-speaker AM/FM/CD audio system that plays MP3 files and comes with three free months of Sirius XM satellite radio, a USB port, and speed-sensitive volume adjustment. Drivers control the audio, navigation, and other infotainment features using a fixed mouse-like controller below the 7-inch color touchscreen display. There are no fewer than five models above the base QX60, though Infiniti says it expects the $4,950 Premium level to be the most popular. It can be ordered with or without a $1,700 Theater option that adds two small displays in the backs of the front-seat headrests for second-row video viewing. The Deluxe Touring Package (for $2,550) adds 20-inch alloy wheels, a Bose WaveGuide audio system with a specially designed amplifier to occupy minimal room under the load deck to maximize underfloor storage space, a fixed-glass roof above the third row, cooled front seats, heated second-row seats, and rain-sensing wipers. Then there's a Driver Assistance Package that adds Rear Collision Intervention, along with a smart Eco Pedal that resists hard acceleration under certain driving circumstances. Infiniti has made this a standalone option that can be ordered for $2,200 separate from any other packages, reasoning that it will appeal to all families, wherever they fall in the model range. Finally, the $3,100 Technology Package ($3,100) includes all features of the Driver Assistance Package plus Lane Departure Warning and Correction, Blind-Spot Warning and Intervention, and seat belts that automatically pre-tension in anticipation of an accident. It requires that the Deluxe Touring Package be specified as well. One unusual option is the Infiniti Personal Assistant service. For an additional monthly fee, drivers can be connected by voice to a concierge--an actual live human being--who will attempt to answer any queries the driver can come up with. Separately, the QX60's telematics package provides a year's worth of free destination assistance, along with access in the vehicle to Google Calendars, plus alerts that can be set (presumably by parents) to notify someone if the vehicle travels outside a specified geographic area or exceeds a pre-set speed. The infotainment system isn't without its flaws, though. The menus are convoluted against the best in class, although the dash display is nice and crip. And the mix of dials, knobs, touchscreen commands, and controller use was among the least intuitive in any vehicle we've tried to figure out on the fly. We strongly recommend that shoppers testing the QX60 take the time to find a handful of commands they're likely to use, and make sure they're comfortable with this interface before signing on the line. 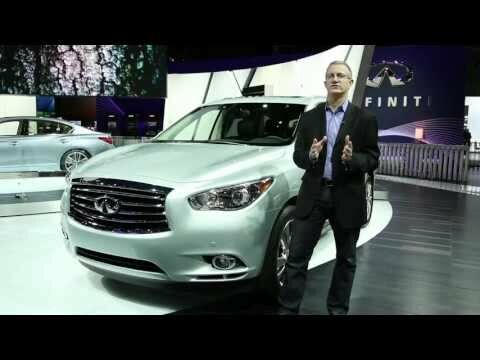 The 2014 Infiniti QX60 (nee JX) adds a new Hybrid model this year, for a combined rating of 26 mpg even with all-wheel drive. The 2014 Infiniti QX60 has to be a large enough vehicle to hold seven people and their goods. That said, the carmaker has done its best to give its seven-seat crossover good gas mileage, fitting a continuously-variable transmission (CVT) to all models--and, new for 2014, adding a Hybrid model as well. This isn't a Toyota-style hybrid, however, that can move away from stops using only electric power. There's no smooth, engine-less acceleration away from stop lights. Instead, it's a mild hybrid system like that used in small Hondas, that restarts the engine after stops, adds supplemental torque when more power is needed, and recharges a small lithium-ion battery pack under regenerative braking. 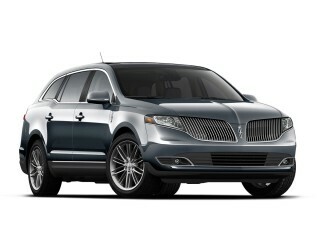 Nonetheless, the system boosts gas mileage from a combined 20 or 21 mpg to 26 mpg, or more than 20 percent. Not bad for a system that only costs a couple of thousand dollars more in certain trim levels. The QX60 Hybrid gets that 26-mpg combined rating with either drive system. That's likely a bit lower than the redesigned 2014 Toyota Highlander Hybrid will get; last year's Highlander Hybrid, offered with all-wheel drive, was rated at 28 mpg combined. A closer comparison, the Lexus RX 450h hybrid crossover, isn't offered with seven seats--so isn't likely to be cross-shopped with the QX60 Hybrid. The standard QX60 with gasoline engine is rated at 21 mpg in front-wheel-drive form, and 20 mpg when fitted with all-wheel drive. Infiniti says that's the best fuel economy in its class, though we presume they mean for a non-hybrid. Over a 100-mile South Carolina test drive that included highway travel, suburban errands, and two-lane back country roads, we saw exactly 20 mpg on our top-of-the-line test vehicle. nice car but could be better. I have owned about two and half years,car have proved to very reliable but trim and paint could be better.the front windshield also defected. Love my car. Hate the nav system. The ride, especially on long trips is fabulous. The gas mileage is great as well. I love how much room I have, and how easily the seats adjust to accommodate whatever task is... Love my car. Hate the nav system. The ride, especially on long trips is fabulous. The gas mileage is great as well. I love how much room I have, and how easily the seats adjust to accommodate whatever task is at hand. Looking for a different year of the INFINITI QX60?